Finally, a newly discovered unlimited free browsing cheat is here again and it's for 9mobile users. This new free browsing cheat works with Yoga VPN. This VPN offers many features such as unblock anonymous browsing，protect privacy, security agent, WiFi hotspot shield, fast and stable. 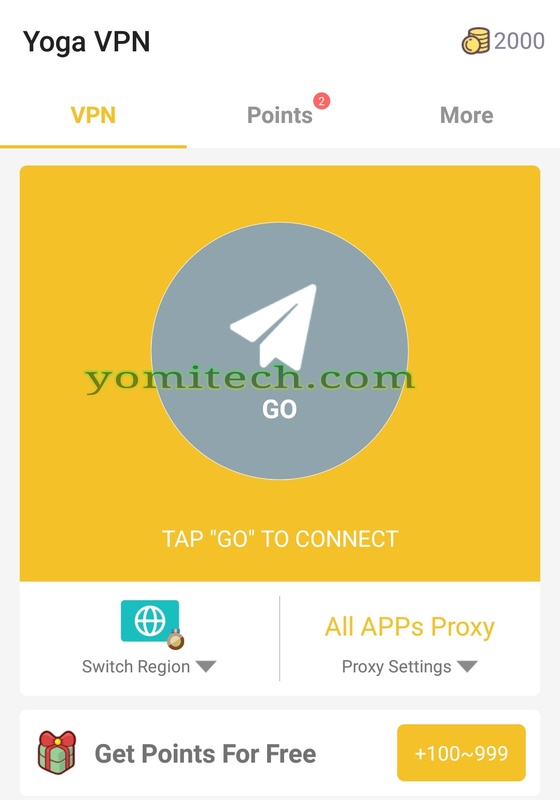 In this post, I will be showing you guys how to browse and download unlimited on your 9mobile SIM using the Yoga VPN app. This app gives you points that allows you to browse with it, you can also earn more points by sharing your unique id which is also your Yoga VPN Invitation Code. The app doesn't throttle the speed which is a good thing to begin with and the speed depends on your location. >> Download Yoga VPN from this LINK. >> Launch the app and click on "Points" tab. >> Scroll to the bottom, click enter codes and input cyeb8 to get +9000 points. >> After that, click on More tab, select Proxy Settings and enable Per- APP Proxy. >> That's all guys. Very simple and straightforward. >> You must have a little subscription or airtime on your sim to connect at first. >> Yoga VPN will disconnect immediately you run out of point but the good thing is that there are different ways of getting more points. >> You get more points when you share your unique id or your Yoga VPN Invitation Code. >> Yoga VPN also gives you free 200 points every day which is called Daily Check-in. >> You also get more points when you watch the available videos. Boss, i have subscription on my SIM before downloading and even installing. the place for Proxy Settings didn't display for the configuration.